A trusted name for decades in Northeast Wisconsin, Gary J. Basten Construction, Inc. is dedicated to transforming the homes and lives of our customers. We are a full-service construction company, known first for our customer service and expertise in foundation repair and waterproofing. 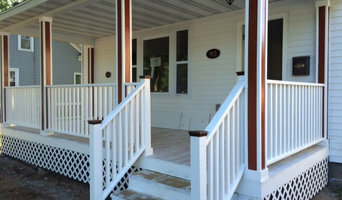 Our excellent craftsmanship and attention to detail now defines our home construction and repair reputation. Best of Houzz 2018! Remodeling and custom home building. Residential & Commercial. Historical projects. 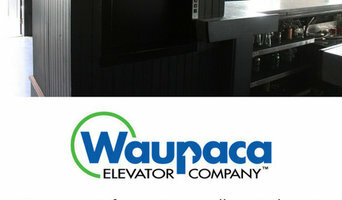 Waupaca Elevator is a leader in producing residential elevators & dumbwaiters in the United States. Our products reflect our dedication to innovation and superior quality, offering two drive systems, hydraulic or winding drum along with variety of custom cab designs and fixtures. Our nationwide authorized dealers can assist with design, code compliance in your locale, installation and continuing service. Waupaca Elevator supports our valued dealer network with technical and sales support. Your investment in a Waupaca Elevator is secure with a three year limited warranty. 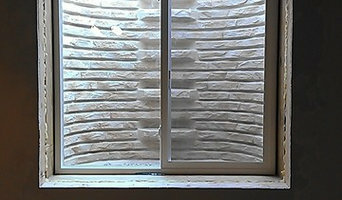 Twisted Willows Custom Wood Fabrication and Finishing is a full service decorative wood product manufacturer. BetterCraft, we do everything better. We pride ourselves on our customer service excellence, and unmatched quality. We are continuously challenging ourselves to exceed the expectations of our current and future clients. Our fundamentals are: 'Forward Thinking, Inspiring Innovation' We are a custom applied finishing company serving the millwork, commercial, residential, and industrial sector. We are your full service Energy Savings Contractor in business since 1998. From concept to implementation let us be your guide. Consulting, repair, and testing services for existing and new construction buildings. Let us show you how to STOP ENERGY LOSS. We are Certified Consultants as well as Qualified Contractors designed to help Wisconsin residents and businesses make choices that save energy, save money, and protect the environment. By providing complete energy and building energy consulting services we are able to provide you with solutions that work. Call one of our professionals today to discuss how we can increase the performance of your building. Waupaca Elevator Company is a family-owned and operated business and a well established industry leader. We have been committed to an ongoing R&D program and producing high quality state-of-the-art elevators and dumbwaiters since 1957. In that time, we have manufactured thousands of residential elevators & dumbwaiters, and commercial dumbwaiters. We adhere to strict quality processes and lean manufacturing techniques. These have allowed us to become a model of efficiency and provide the superior value in every facet of our customer experience. We are proud of the lasting relationships that we have with our dealers and proud of the products and services that we provide to our customers. No Room for Clutter offers home organizing and decluttering serving Wausau and Green Bay, Wisconsin. I thrive on the challenge of helping people, and I am very good at organizing, decluttering, and clearing out spaces. No need to be embarrassed. In fact, I have a no judging guarantee. Don't worry. I can help. Diane's Cleaning Service is a commercial cleaning contractor / janitorial service serving the Oshkosh, WI area. Services include Commercial Cleaning, Office Cleaning, Janitorial Services, Construction Cleaning, Move In and Move Out Cleaning, Deep Cleaning Services, Apartment Cleaning, Event Cleaning, Porter Services, Restaurant Cleaning, Retail Cleaning, Green Cleaning, Restroom Cleaning, Clean Out Services and House Cleaning. If you’ve been looking for a way to enhance your landscaping design you’ve come to the right place. The curbing company Vargas Curb LLC specializes in creating attractive, permanent landscape curbing that accents your existing landscaping. With a variety of curbing styles, stamped patterns and color choices available, landscape curbing has become a great way to finalize your yard. argas Curb specializes in concrete borders and curbs. We enjoy adding the finishing touch to your landscape or helping you design your yard. Vargas Curb is a local curbing company; we serve our Fox Valley customers throughout Neenah, Appleton, Greenville, Oshkosh, Kimberly, Combined locks, Sherwood and surrounding areas. Custom Cabinet Shop with everything made in house. Whether you’re looking for a team of Wrightstown, WI professionals or a handyman for a small renovation, you’ll find dozens of professional profiles and contact information for specialty contractors here on Houzz. Here are some related professionals and vendors to complement the work of drywall contractors: . Let’s say you want to install custom wood flooring in your dining room, and you’ve found a Wrightstown, WI company with excellent reviews. Next you’ll want to contact the company and make some inquiries. Find specialty contractors on Houzz. Look in the Professionals section of our website under Wrightstown, WI specialty contractors, then select the nearest metro area for a contractor. You can also look through Wisconsin photos of completed projects to see how a contractor might approach design challenges.